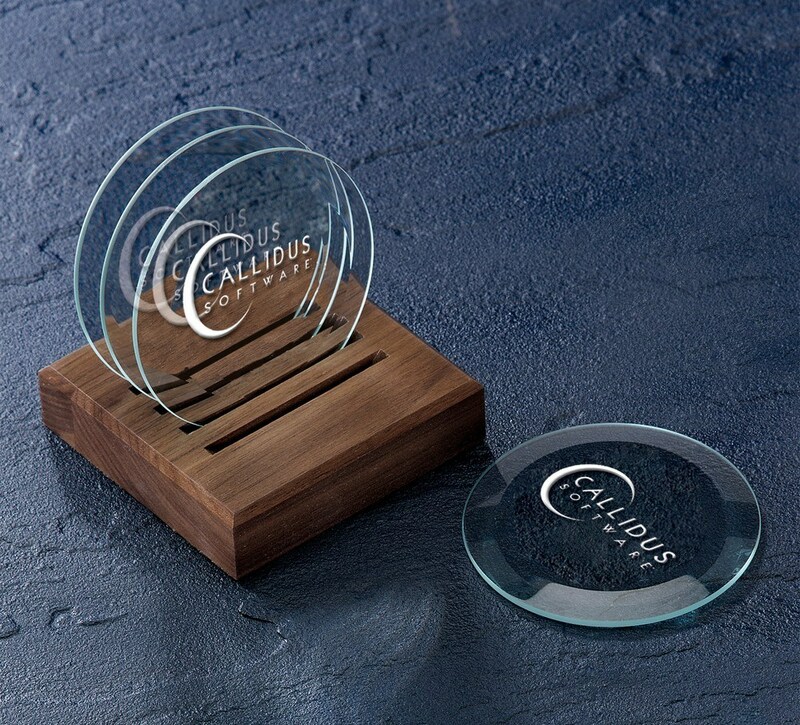 This Individually Boxed Beveled Crystal Coasters features a high-quality glass design with a single logo imprint. Augment your company's stature and boost brand recognition, with the Beveled Coasters. 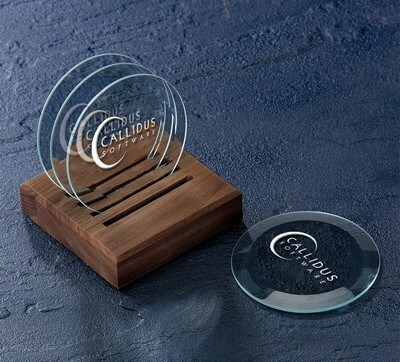 These coasters are made from a combination of glass and optic crystal, that makes them resistant to staining. They come individually boxed to aid in large scale marketing campaigns. They are beautifully designed to add sophistication to any logo and company image. These coasters are fantastic corporate gift ideas and perfect giveaways for promotional events such as conferences and trade shows.